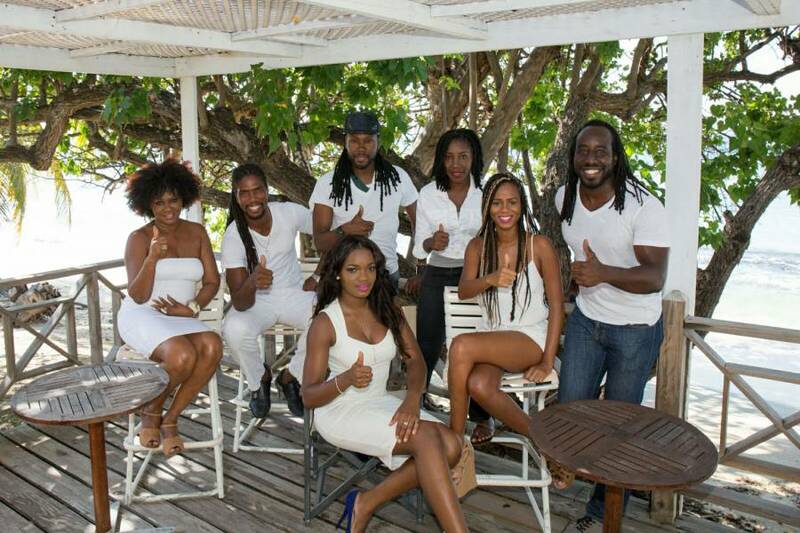 It’s been in the pipeline for years, and on Tuesday, 22 September 2015, the Director and Executive Producer of San Fernando Fashion Weekend in Trinidad & Tobago Deron Attzs formulated a team of Grenadian experts within the creative industry to deliver the first ever fashion weekend in Grenada. For the last 3 years Attzs started his preparatory work to introduce the brand Deron Attzs Design Label (DADL) to the island. DADL is a unique variety of contemporary urban apparel for Men and Women that exude a unique sense of elusive style, versatile to one’s own lifestyle. The brand offers the highest quality of craftsmanship including distinctive prints and fabrics that are unmatched for comfort and style. Detailed shirts and dresses durable with a Caribbean feel. DADL established 20 years ago featured on both the regional and international markets through television, videos and online and print media across the world. The brand also graced the stage of Miss Universe, Miss World, other pageants and is widely worn among several media personalities. The label also featured alongside most recognized and established Project Runway Winner Christian Cerino. According to Attzs the objective is to introduce something unique to the islands and improving the fashion tourism potential on the country. He said given the success of the product in Trinidad for the last 12 years, together with the vast number of talents emerging among the fashion industry, he believes it is prudent to deliver an event that can highlight diversity of the industry. Attzs is optimistic that the Grenada Fashion Weekend will change the concept that is perceived of the industry among many and simultaneously inspire others who are thinking about a career in the field. Grenada Fashion Weekend carded for 4–6 February 2016 is expected to bring together local designers and models from across the island, as well as regional and international. With a committee now in place a comprehensive pre-production and logistical plan will be set in motion for countdown to show time. The executive will be assisted by a support team they are Media/Marketing – Lexann Medford Fletcher, Shannon Buckmire, Marlon Theodore, Zoë Hagley, and Neila Etienne; Entertainment and Photography Ronel Charles. “It is my belief that this core support team of highly supportive Grenadians through my guidance can produce a show of high quality so that in the future we can be pleased of the success of what we started ”, Attzs said. Grenada Fashion Weekend will seek to promote and showcase Grenada’s hospitality and areas that makes it unique to the rest of the Caribbean. The 3-day event will feature 5 designers each night added with taste of soul touching music as patrons feast their eyes on a variety of designs from top fashion labels. It will also include and involve the business community with a new way of tapping into fashion industry that can vastly improve fashion tourism. The 2015 Face of Grenada winner Tiffany Evans, and New York Fashion Week runway model Aria Francis, will be among the cadre of models hitting the runway for the gala event. Attzs says due to the high expectations and reputation of his fashion weekend brand; models will have to adhere a number of guidelines, screening procedures and training before they are selected for the runway show. Theatrical training is to be incorporated to ensure that the selected models are not only physically ready for the high profile show, but to also ensure that they fully understand the intricacies of the fashion industry. As the preparatory stage continue the Executive Director already met with a number of local designers on the island to outline what is expected should they agree to be part of the experience. Interested designers can apply via email with a portfolio and male and female models must also do the same to grenadafashionweekend@gmail.com. Models must submit photos and contact information. Application deadline will be closed soon.